Holy Cancer: How A Cow Saved My Life is now on Kindle! ​has been circulating around numerous social networks. A lot of revived interest to the most sensational aspects of my journey and memoir are being highlighted and it is not quite the complete picture. The emphasis is a specific kind of hospital and the hospital that I went to with many responding to the article, seeking the details of the same. ​I never have and I never will endorse, support or encourage a patient to a specific treatment or hospital. Each of us has too many variables in our medical histories and our lives that factor into a prognosis. It is our individual involvement and will in finding a solution or results. The fact is, you can’t hand pick one part of nature and expect a cure. My objective was to introduce an option that worked for me in tandem to many others that I do highlight in the book. Due to the incessant inquiries, I’ve included the google map location of the Gujarat hospital where I was first introduced to the cow treatment (https://goo.gl/maps/3jA4Zjr2B7B2). Please remember that I then spent the next two years living a life that incorporated certain elements of that hospital on a private citizen’s farm, distant from this hospital. I again strongly encourage each individual to do their homework and not just look for a quick fix or an easy answer because with cancer and health in general, there isn’t one. It takes effort, energy, support and of course some faith too. I’ve said this before and I will end this statement with the same request - if anyone is guaranteeing you a cure, it’s not true. Only we as individuals have the power to accept a treatment and do the hard work involved to even have a chance to heal. Let’s keep empowering ourselves and the world around us. My road to recovery has been as much a journey of uncovering the beauty of the world as it has been about self-discovery. In the time that has followed since I wrote my memoir Holy Cancer: How A Cow Saved My Life, I’ve met such amazing individuals who’ve guided me along an organic path of sharing knowledge and becoming a fulltime wellness empowerer. The joy that I’ve had spending time with thousands of patients throughout India is a gift I wouldn’t return for any price. Healing Vaidya Foundation ​was set up to continue this dialogue on a broader scale. Our goal is simple - building bridges between individuals and information – to create a balance in dialogue and decision-making. We understand that life is a joyful journey and without social engagement, we are left fighting alone and often, without champions. It is for this reason, Healing Vaidya Foundation will focus on mass media projects giving us the maximum reach to inspire, spread knowledge and offer the empowerment needed to understand our choices. 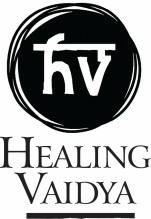 Healing Vaidya Foundation's sole mission is to educate and empower every person to find the right healing path for themselves to ensure that they are living each day inspired and with happiness as the constant. It would be my greatest honour to have your support with this mission.